More than 1,000 agriculturists in over 40 countries of the world use the software of the Belgrade-based company Logit. 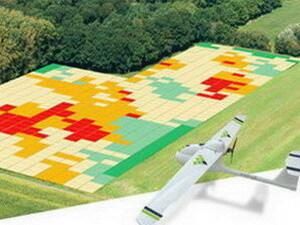 The unique technological platform AgriSens processes images from agricultural areas gathered by drones, enabling agriculturists to review the quality of the sowing and the plantations, the expected yields, areas under risk of plant stress etc. Thanks to the Belgrade company's solution, a tomato producer in California determined that an external associate had planted 20% fewer stems on his fields than planned, instead of 5%, as previously reported. Considering that the area in question has 30 hectares and 440,000 tomato stems, there was no other way to determine irregularities with such precision. Implementing AgriSens in mango, avocado or banana plantations is much more exotic. Its advantages have been recognized by farmers throughout the world, from New Zealand, Australia, through Puerto Rico, to the United States of America. Logit is one of only 5 companies developing this kind of software in the entire world. The AgriSens platform has been developed for the past two years, and the commercialization of the software started in the spring of 2016. 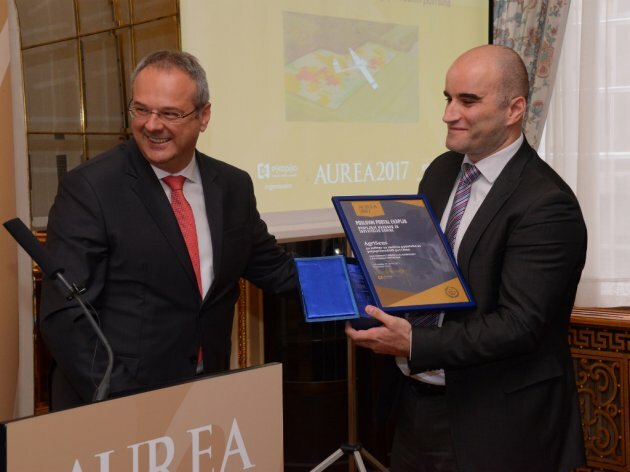 The potential of the software developed by Belgrade engineers is proven by the fact that the American company Drone Deploy, the world leader in the field of navigation and survey processing software development, has chosen them as strategic partners, and the significance of the solution has been confirmed by the expert jury of Aurea, awarding Logit with the Investment of the Year prize, handed out by our portal. Milan Dobrota, CEO of Logit, says for eKapija that the software has been used in growing over 60 plants so far globally, and that most requests come from those who grow grains: corn, wheat, barley. – The agricultural season has started and we are contacted by a large number of farmers daily, so we expect the number to considerably exceed the current 1,000 users. The plan is to also introduce new ways of implementing the software and develop a part of the platform which not only analyzes individual images, but provides users with a more systematic monitoring of data from their crops over a period of time. The user gets the analysis of the surveyed area in the form of a PDF report, providing three basic types of information: plant counting, plant estimating and stress monitoring. 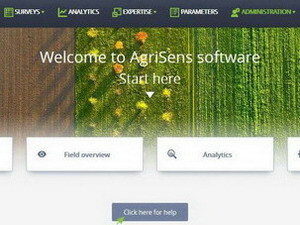 This way, AgriSens enables agriculturists to review the quality of the sowing and the plantations, the expected yields, areas under risk of plant stress etc, with minimal expenses and without requiring the skills of handling modern technology. Although the number of users is growing, since this is a global innovation, Dobrota doesn't expect a great profit to be made for now. – The point is to further invest in the development of the product, which is at the very top globally – our interviewee points out and adds that he firmly believes that the combination of IT, agriculture and commercial drone use guarantees the product's continued success. The sales in the local market are only just developing, and the approach to potential users is different. – In Serbia, we are more oriented towards the corporate client segment, where we can provide a more wide-reaching service and consulting than, say, to clients in Brazil and Australia, with whom our contact is not as direct. Drone operators working with the clients in the field communicate with them, whereas we provide a solution for the analysis and processing of data. Although the two fields don't seem to have much in common at first sight, finding ways of enhancing agricultural production by using modern technology has long since become a global concern. It's practically becoming an imperative, since the world population is facing the growing challenge of producing increasingly bigger amounts of food with increasingly fewer available resources. The idea of developing AgriSense itself initially emerged as a result of following global scientific and technological trends, and the field is known as Precision Agriculture. The technology has been fully developed by the engineers of the Belgrade company (local know-how) in cooperation with experts from the University of Belgrade and associates from the fields of agronomy, statistics and electrical engineering, and the plan is to also develop new ways of software implementation in line with user demand: in construction, energy efficiency, ecology (landfill surveying). The company has existed for five years, employs around thirty people and has an office in Romania as well. Furthermore, the plan is to open an office in Sarajevo, B&H. Survey by unmanned aerial vehicles and its implementation in agriculture is only just developing, and the estimate is that there will be 10 times more drones being used commercially than regular aircraft by 2020. Due to the industry's boom, requirements for drone management have been considerably loosened in America since August 29, 2016. Instead of a pilot's license, a simplified license is now sufficient for UAV control. For this reason, according to Logit representative, increasingly more farmers in the US opt for buying drones, which are affordable as well, with one UAV costing around USD 1,000 in the American market. In Drone Deploy's latest report on commercial drone use divided by segments of implementation, AgriSens placed first among the apps in the agricultural sector, which will further facilitate access to the global market for the Belgrade company.